Posted on October 21, 2013 October 16, 2016 , in Multilift Hooklift. Any type of equipment needs proper care and maintenance. While the Multilift Hooklift is made with the best quality materials and impeccable workmanship, in order to keep them fully optimized, they too should be maintained. One area that cannot be neglected is the hydraulic valves. These can become blocked with debris, but potential problems can be avoided with proper oil changes and greasing. With some of the larger sized Multilift demountables, there is a built in lubrication system that is automated. This system will perform the lubrication process as required. Proper training in handling the Multilift demountables can go a long way in reducing the need for repairs to damaged equipment, while the equipment comes with an excellent service manual that will outline the maintenance routine based on the use of the equipment. While it is highly recommended that the equipment be subjected to a yearly inspection, there is also a need for interim maintenance, which the manual will clearly outline. Aside from performing the actual maintenance, regular checks of the equipment should be made. Some of these are needed on a daily basis. For example, the steel wires in the cable lifts should be examined daily for any signs of wear or strands snapping. If a problem is detected, it should be corrected immediately for both safety purposes and to keep the equipment working at its peak performance. The equipment should be kept clean, not only for appearance, but for allowing it to perform as it is designed. At the same time, clean equipment allows for clearer inspections, which helps to identify any potential problems. Putting the Multilift into action should be started with a walk around inspection by the operator. At this time, paying attention to unusual noises can help identify a potential problem quickly, which can then be fixed before it becomes a major one. Multilift demountables that are not properly looked after and maintained can lead to down time for the equipment and, in turn, can delay the completion of a job. This means time and money will be lost, which could have been avoided. 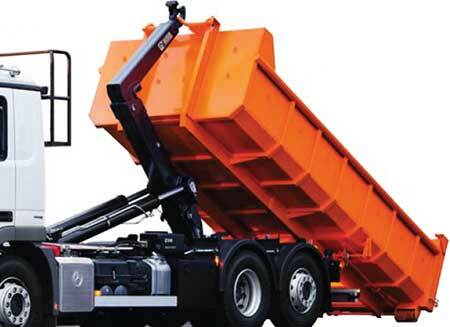 For more Multilift maintenance tips, check out this article on maintenance in HIAB Method Magazine. If you have any questions, please leave a comment below or call us. We’d be happy to help.